Our guide on starting a zoo business covers all the essential information to help you decide if this business is a good match for you. Learn about the day-to-day activities of a zoo business owner, the typical target market, growth potential, startup costs, legal considerations, and more! Zoos are family-friendly attractions where everyone can see their favorite animals, learn more about nature, and enjoy related entertainment. They also function as wildlife preserves of some of the most endangered species. Zoos are excellent for those who love animals and want to protect them from environmental dangers. The idea of the attraction is to pass a love of planet Earth down to younger generations. However, zoos can be incredibly expensive to run, meaning an owner will need to have a knack for business. What happens during a typical day at a zoo business? Families are usually the largest market, but zoos are truly made for everyone. Even in a down economy, parents will always be looking for things to do with their kids, and zoos are a relatively affordable and fun activity for all. How does a zoo business make money? What is the growth potential for a zoo business? Most larger cities will have a zoo, which can pose some very stiff competition. However, there is room available in even the most seemingly saturated of markets. Owners who look for an animal niche or an angle that hasn’t been filled (or a forgotten part of the country) to grow their business. What are some skills and experiences that will help you build a successful zoo business? Those who have a history of veterinary work or a life science background can use those skills to build their success in this industry. Zoos are extremely labor intensive, so owners should have at least worked or volunteered in an existing zoo to understand exactly what they’re jumping into. Resourcefulness is often the biggest factor when it comes to how successful a zoo can be. What are the costs involved in opening a zoo business? The costs will all depend on what types of animals you have and the land you use. You’ll need to pay for their food and care, as well as staff to maintain the grounds and run concession stands around the park. It’s not unusual for a park to spend $10,000 to $12,000 per day (or more) just to keep up with costs, plus millions more on elaborate exhibits. That’s a tall order for anyone. What are the steps to start a zoo business? Form a legal entity. Establishing a legal business entity prevents you from being personally liable if your zoo business is sued. Open a business bank account. A dedicated checking account for your zoo business keeps your finances organized and makes your business appear more professional to your customers. What are some insider tips for jump starting a zoo business? Most people would never consider starting a zoo because it's a lot of work without a very good chance of a reward. Few entrepreneurs could find the money (or the space) to compete with established zoos in large cities that have managed to build up decades of experience and public recognition. And yet, there are things an owner can do differently in order to attract a public audience. For example, San Diego not only has their famous zoo, but they also have a Safari Park. In a Safari Park, the animals are all roaming on open land rather than hanging out in exhibits, and customers are given rides throughout the grounds to see animals in a slightly more natural habitat. 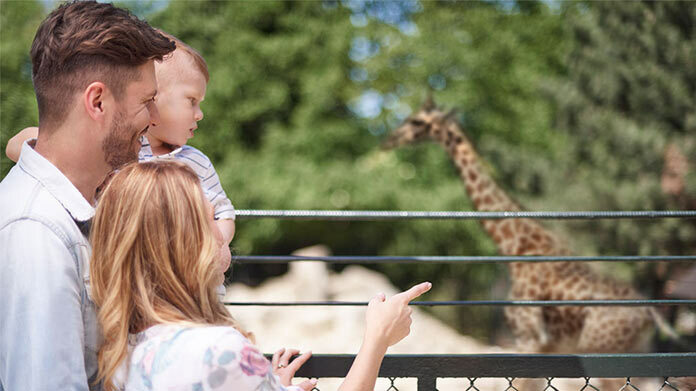 By tweaking the format a little, the Safari Park has managed to become a hit destination alongside their incredibly impressive zoo. Residents of San Diego and business experts alike may not have been able to have predicted its success. Those who are just getting off the ground with their zoo may want to consider something on a smaller scale. They may want to contact professionals who handle exotic animals and talk to them about the best ways to both protect them and share them with the public. Owners may want to start off with a mobile enterprise in smaller towns in order to establish themselves. Considering families are the primary market, it may make sense to stick with children-focused advertising on television or the radio. Again, it’s pivotal for owners to find a need that isn’t being filled. For example, maybe you hire animal handlers who can tell jokes as well as inform them about the animals. Maybe you feature animals that families can’t find at a competing zoo. It is important to abide by all federal and state regulations regarding the ownership of exotic animals. Before starting a zoo, make sure you and your business have met all licensing and ownership requirements. Certain state permits and licenses may be needed to operate a zoo business. Learn more about licensing requirements in your state by visiting SBA’s reference to state licenses and permits. A zoo business is generally run out of a large piece of land. Businesses operating out of a physical location typically require a Certificate of Occupancy (CO). A CO confirms that all building codes, zoning laws and government regulations have been met. Before leasing, confirm that your landlord has or can obtain a valid CO that is applicable to a zoo business. Review all building codes and zoning requirements for your business’ location to ensure your zoo business will be in compliance and able to obtain a CO.
Zoos can charge based on their size and demand. Just one adult ticket to the San Diego Zoo is $54 for adults and $44 for children. Plus, owners can charge for a variety of experiences, including special breakfasts or animal shows. These special endeavors can easily add on an extra $30 to $50 a day without deducting very much from the overall budget. What are the ongoing expenses for a zoo business? Ongoing expenses include veterinary care, license renewals, ground maintenance, and staff salaries. They'll also need to add and maintain exhibits throughout the years. Successful zoo professionals will look for any excuse to save money . For example, they may use roadkill to feed their animals as long as it doesn't endanger their safety. How much profit can a zoo business make? While most zoos are technically non-profits, they can make enough money to generate sizable salaries. However, on the whole, zoos have been cutting back on their exhibits as of late — even as they continue to raise the price of admission. This is due to inordinately high bills and cuts in city or donor funding. Zoos have been steadily adding attractions like water slides or other types of rides for their patrons. These attractions are not only fun, they also allow owners to raise the cost of admission without threatening ticket sales.